Hillfoot have a history that dates back to 1923 and a well-established reputation for technical expertise and providing a quick, reliable service. 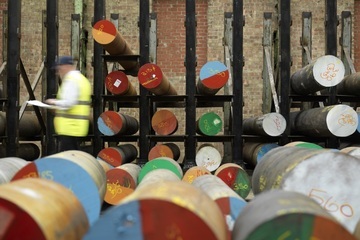 We are one of the UK’s largest steel stockholders and supply materials to manufacturers in a wide range of industries, including the automotive, oil & gas, mining, power generation, construction, defence and industrial engineering sectors. 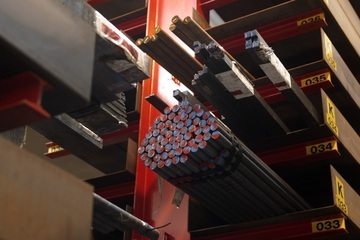 Our focus is on delivering the right steel grades at competitive prices in the timescales required by customers, but we do much more than simply shift metal. We also provide a selection of value added services, including processing, testing, supply-chain management, export delivery, metallurgical advice and product development, to make purchasing steel as straightforward as possible for our customers. This approach has seen us establish long-term relationships as the steel supplier of choice to major companies in the sectors we serve. Hillfoot are now a division of the Murray Metals Ltd group, a leading supplier of steel plate, long products, general steels, engineering bar, aluminium and processing services to customers around the world. Other brand names in the group include Murray Energy, Murray Plate and Profiles, Northern Steel Stocks, Tipton and Mill Steels, and Murray Multi Products.